You should ensure that your outfielders are comfortable playing the fence. Maybe they’re playing a foul ball fence, or maybe they’re playing a home run fence. But how do they do that? In today’s video blog post, we are demonstrating a great softball fielding drill to help you work on this important technique. It’s called the “Find The Fence” Softball Fielding Drill. You see the ball and it’s a “oh-my-goodness-it’s-outta-here ball”, so you immediately drop step, turn, and run. You find the fence, touch it, and then catch the ball, or come off the fence and run forward to the ball. Pretending that the side line fence is actually your home run fence, take your players straight back over their shoulders and they are going to run back, find the fence, and then play the ball. You can also move to the side, simulating a left or right fielder. 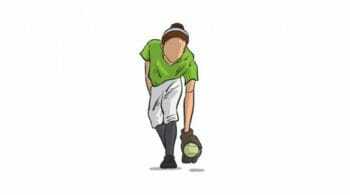 For example, playing a left field position, stand in the foul line and toss balls up so that the outfielder is running in a foul ball type situation to where she can find the fence and pull it back. 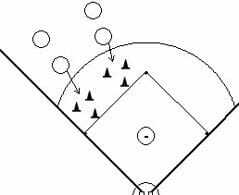 Working the right field line will also work running the opposite direction. 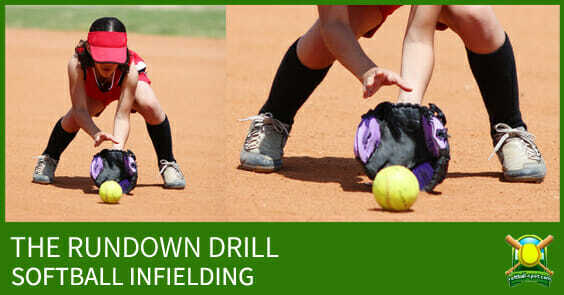 This is not an exclusive drill for outfielders. Your corner people and catchers, even your shortstops on those fast balls, need to be able to find that fence and make the play. Implement this drill into your practice plan, and it will really help your players awareness on where that ball is and how far they can press themselves.